Some companies need to distribute depreciation expense dollar amounts to divisions or cost centers within their corporation. 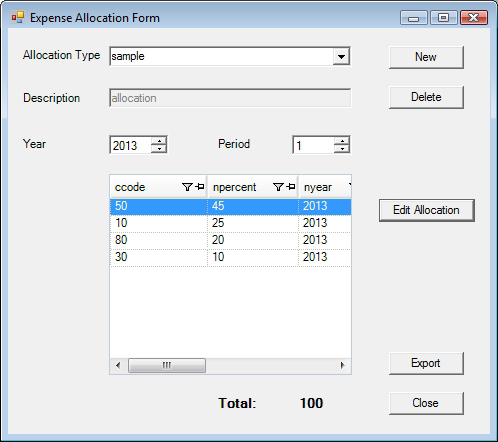 The expense allocation module easily accomplishes this through the use of allocation pools. An allocation pool is defined and a charge back percentage is assigned to each division. One or more projects can then distribute expense based on the percentages. During reporting, standard reports can display depreciation amounts by asset or further break down the expense based on the associated allocation pool of each asset. The reports can be sorted and subtotaled in many ways to display extensive allocation detail or consolidated summary information.